To register for upcoming workshops in Toronto or for more information, please see our Schedule Page. I was really struggling as a parent with a child with autism. At times it was like I was alone treading water in a dark lake and slowly I was sinking below the murky surface. Through mindfulness and the Mindfulness-Based Cognitive Therapy program, I found some courage, strength and acceptance. The key difference in MBCT is an explicit focus on turning toward low mood and negative thoughts early in the program so that participants gain experience with recognizing these symptoms and confidence in their ability to respond skillfully. MBCT is an adaptation of MBSR (Mindfulness-Based Stress Reduction) that uses the same basic format and structure – an 8-week class with an all-day retreat; a class structure that includes psychoeducation, formal meditation and movement practices, and teacher-led discussion and inquiry; and daily home practices and exercises. As in MBSR, participants learn to recognize habitual, unhelpful reactions to difficulty and learn instead to bring an interested, accepting and non-judgmental attitude to all experience, including difficult sensations, emotions, thoughts and behavior. MBCT replaces some of the content of MBSR with a focus on specific patterns of negative thinking that people with depression are vulnerable to, but which we all experience from time to time. MBCT was developed to prevent future episodes of depression in people with a history of recurrent depression. Techniques from Cognitive Behavior Therapy are incorporated into the program to promote greater awareness of these patterns and mindfulness practices are used to disengage from them. The focus is on changing one’s relationship to unwanted thoughts, feelings and body sensations so that participants no longer try to avoid them or react to them automatically, but rather respond to them in an intentional and skillful manner. 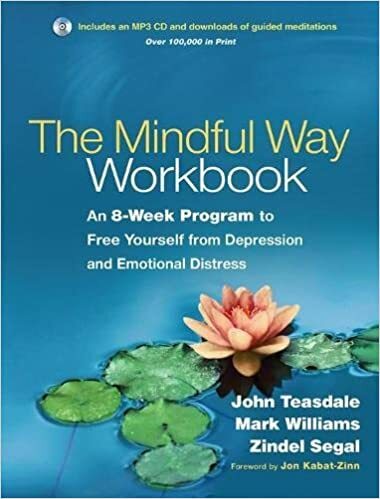 Mindfulness-Based Cognitive Therapy (MBCT) is an 8-week evidence based group program for preventing the relapse of depression and reducing stress and anxiety. Recognized world-wide, it was developed by psychologists at CAMH, Bangor and Oxford, and combines the well-tested techniques of Cognitive Behaviour Therapy with Jon Kabat-Zinn’s University of Massachusetts’s Mindfulness Based Stress Reduction (MBSR) program. What are the benefits of MBCT? Mindfulness is the practice of present moment, non-judgmental awareness of one’s life experiences. Cognitive Behavioural Therapy teaches awareness of the relationship between our thoughts, feeling and behaviours. Through the use of mind/body techniques, one begins to relate to depression, anxiety and stress in their lives differently--more skillfully. The course consists of 8 weekly session and 1 full day retreat on the weekend. The course is conducted in a safe, supportive learning environment by experienced teachers. For MBCT Workshop in Toronto, please see the Schedule Page. Mindfulness Everyday Refund Policy for MBCT Workshops: We are confident you will find our classes enjoyable and beneficial. However, we do understand there are times when you may need to drop out of the course. Our refund policy is to provide a full refund, less a $25.00 administration fee, if the request is in writing and received by us, at least 24 hours prior to the course start. For subsequent written requests to withdraw, received by us up to 24 hours prior to the start of the second class, a refund of course fee will be given, less $100.00 to cover our costs up to that time. Course fees will not be refunded thereafter. To request a refund, please send an email to admin@mindfulnesseveryday.org, indicating your name, the name of the class, reason for the refund, and a phone number where you can be reached in case of questions. *Prices quoted may change without notice reflecting market changes beyond our control. Insurance: MBCT is not therapy or medical treatment. However, some insurance plans do cover health education and wellness classes. If your plan covers the MBCT program, we will provide the information you need to request reimbursement directly from your insurer.